make a lovely pair. NGC 4527 at lower-left is an intermediate spiral galaxy, similar in shape to our neighbor M31 Andromeda. Approximately 40,000,000 light years away in the Virgo Cluster, it exhibits weak starburst characteristics. NGC 4536 at upper-right, is an SAB(rs)bc barred spiral with stronger star formation. 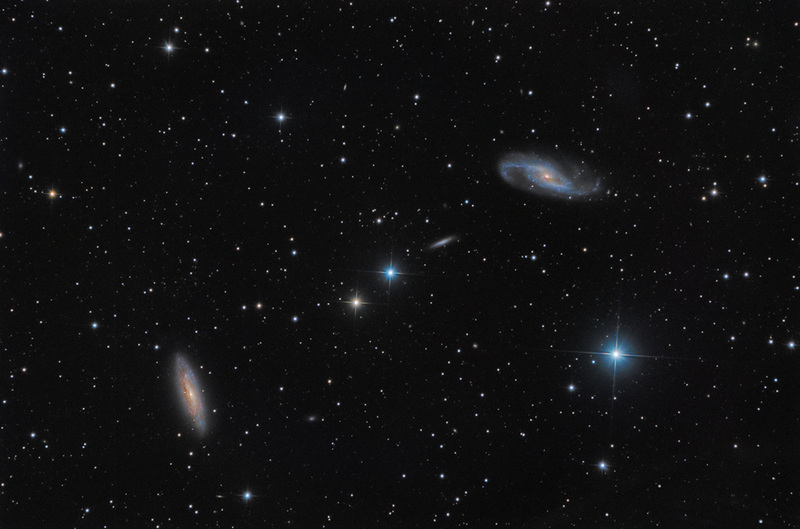 The small, edge-on NGC 4533 appears between the two more prominent galaxies.